Triads are incredibly useful on guitar, not only for building chords and arpeggios, but for soloing too, and especially soloing over chord changes. 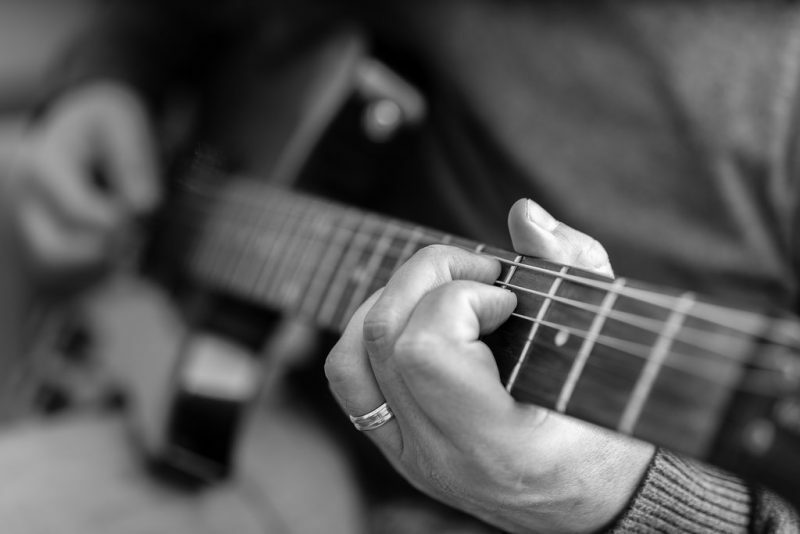 If you know your triads inside-out on the fretboard, you’ve laid the foundations for mapping out the fretboard when creating chord progressions or improvising melodically. The tedious part is actually learning triads to start with, so here’s a quick guitar hack to reduce the time it takes to get those triads down so that you can get to the good stuff. I first came across the warp factor in Jon Finn’s amazing book, ‘Advanced Modern Rock Guitar Improvisation’, which should definitely be in your collection. The warp factor is basically due to the nature of the guitar’s tuning, and in particular the way there’s a major third gap between the G and B strings instead of a consistent fourth like all the others; what this does is offset or warp the fretboard, and in scale, arpeggio or chord terms it pushes any note on the B string up one fret with the E string following suit. Let’s see how this works in terms of triads. This is all well and good but it doesn’t take advantage of the warp factor to reduce the number of patterns to learn. The above patterns are actually warped patterns, but we don’t want to start with these; we want to start with the ‘default’ patterns as follows. A default pattern is one that uses the bottom four strings, the ones tuned in fourths, and doesn’t involve the B string. Now, when we move it over to the next set of strings (D, G and B), because we have a note on the B string, we invoke the warp factor which means that it is the same pattern only warped by the fretboard i.e. we compensate for the B string’s tuning (or the interval between the G and B strings) by moving the note that lands on the B string up one fret. If we played the above pattern as it is on the D, G and B strings, it would be wrong because we haven’t compensated for the warp factor. Compare this pattern to the two previous ones: it’s the same pattern, only warped by the fretboard! Again, this is the default pattern we started out with, only warped by the fretboard. Take a good look at it. All you need realize here is that instead of 3 or 4 different triad shapes for each inversion, there is only one shape which is warped by the fretboard as you move it across string sets. You can apply this to any triad or triad inversion, simply by starting with the ‘default’ shape on the bottom three strings and moving it across the fretboard. When you come to a pattern that involves the B string, simply shift the note from the default pattern that lands on the B string up one fret. When you have a shape that starts on the G string, the notes on the B and E strings will shift up one fret as you go through the warp zone. If you found this idea intriguing, check out the 2 Position Scale System Tutorial, which is the introduction to an entire scale and arpeggio system based mainly on this very concept. Here’s how the minor triad moves across the fretboard. Remember, this is the same shape just warped by the fretboard. Move it to the next set of strings and it remains the same. When we move it to the next set of strings, the B string warps the pattern and the D note shifts up one fret. On the G, B and E strings the shape is warped again by the B string with the E string following suit. I hope you’re getting the hang of this as it’s a really useful way to see the fretboard and gives you a great insight into the guitar’s tuning. The following four diagrams are the default patterns for Diminished, Augmented, Sus2 and Sus4 triads in G; your homework is to move them across the fretboard and work out the other shapes, and if you liked this method of learning triads, check out the full eBook. Details here.